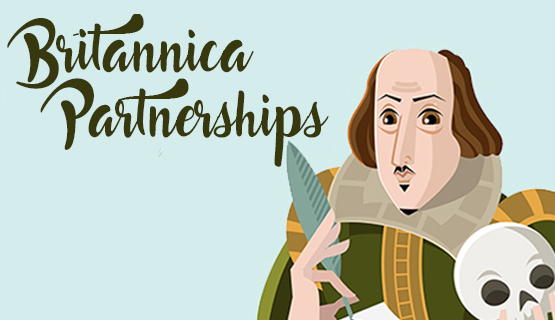 Encyclopaedia Britannica® has partnered with two prominent humanities institutions, the Washington, D.C.-based Folger Shakespeare Library and the Chicago-based Newberry Library, to enhance its online and mobile coverage of a wide range of topics. Both institutions are contributing original articles and visual media to Britannica. A large number of photos, rare maps, music scores, and historical documents from the Newberry are being highlighted throughout Britannica’s growing corpus. Included in this collection is the earliest printed map (dated 1688) on which Chicago (“Chekagou”) appears. Britannica is also highlighting the Folger’s excellent videos, like this hilarious retelling of The Comedy of Errors, on the Bard, the Elizabethan era, and related topics. Britannica today is a vibrant digital media and education company that offers rich learning, reading, and research experiences for curious people of all ages and interests. We’re also very focused on schools, libraries, and PreK-12 education, so the Folger and Newberry libraries, which have similar missions, make perfect collaborators for us. The Folger Shakespeare Library is home to the world’s largest collection of materials relating to Shakespeare and his works and to major collections of rare Renaissance books, manuscripts, and works of art. Located on Capitol Hill in Washington, D.C., it serves a wide audience of scholars, visitors, teachers, students, families, and theater- and concert-goers. Based in Chicago and serving the public since 1887, the Newberry is an independent research library with collections spanning six centuries. The collections feature a diverse array of items such as illuminated medieval manuscripts, rare early maps, rich genealogical resources, and the personal papers of Midwest authors. Free and open to the public, the Newberry offers exhibitions based on its collections; lectures by and discussions with today’s leading humanists; seminars and workshops; fellowships and undergraduate programs; teacher programs; and other activities.